Former student athletes, whether they were stars on the basketball court, football field, wrestling ring or the soccer pitch, prove to be stellar employees. The early morning practices. The late nights spent studying. The stringent dieting regiment. The hundreds and thousands of hours dedicated to one activity, all for that brief elation that accompanies a victory or achievement. For some, the sacrifice of competing in a sport is validated through the pride and self-worth that come with it. And, as it turns out, these individuals could actually be your workforce’s most valuable members. Over the years, former student athletes have proven that they possess the grit and tenacity that most employers look for in a hiring candidate. In fact, a recent study shows that students that those who participated in extracurricular sports in high school or college have gone on to earn between 5 and 15 percent more than their non-sport-participating counterparts. But why is this? How do athletes deal with the inevitable end of their sports careers? What are the attributes that make former student athletes so desirable to employers? And how can you go about finding your next athletic hire? I had a chance to pick the brain of sports psychologist and founder of Mind of the Athlete, Dr. Jarrod Spencer to see exactly why you should draft a student athlete to your roster. What is the reality for student athletes? The professional sports world is not known as the roomiest or most inviting realm of employment. Numbers from the NCAA show this, too: the highest rate of student-to-pro athlete conversion is baseball at just 9 percent, and the number of players who go to play professional women’s basketball is under 1 percent. By senior year, most student athletes have come to face this reality. The pressure to perform for the next big game, match, or meet can physically and mentally wear on a player. However, the ones that can find the happy medium and fight through the difficulties of maintaining that balance are the ones who find success in the workforce. What characteristics make student athletes the best hires? Studies are constantly pointing to the positive behavioral and developmental benefits attributed to participating in sports in high school or college. 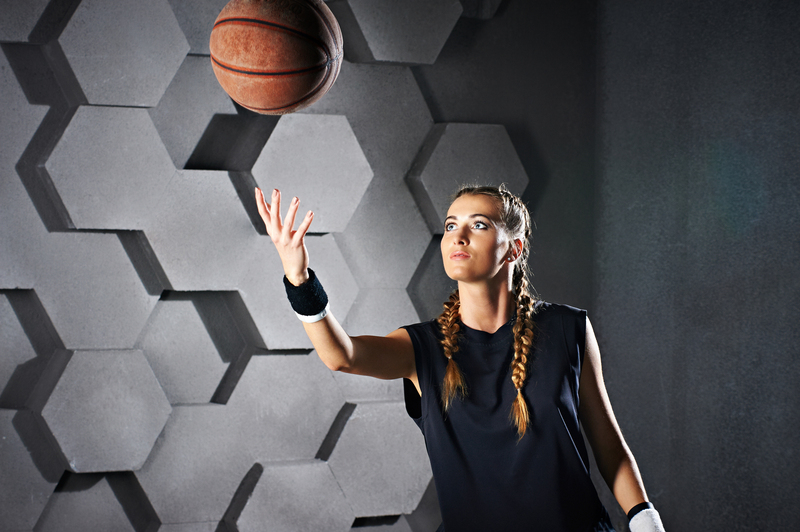 While it’s nearly irrefutable that playing a sport has physical health benefits, former student athletes seem to attain and hone in on mental and emotional strengths, too. Self-Confidence and Leadership—Admittedly, the field or the court aren’t exactly places for the timid or faint-of-heart. For the most part, athletes exude more grit and gumption in day-to-day life. Emotional Regulation—Athletes develop the emotional regulation skills necessary for success today. For example, frustration management is a big deal for self-resiliency. Athletes tend to be better equipped to bounce back when things don’t go their way. Regiment and Discipline—Athletes know putting in the time is half the battle. Regular exercise, proper diet, and taking criticism well are all core components to success in athletics. According to some research, wrestlers tend to make the best hires. This has a lot to do with the nature of the sport—in essence, wrestling is a very individualistic sport. In terms of physicality, you’re on your own; just two athletes duking it out, mano a mano. But there is still the fact of team scoring, so you get a fully-rounded sense of camaraderie and self-performance. However, this truly can be said about any sport that pushes individual and squad mentality to the limit. Where can you go to hire these individuals? The biggest frustration for a student athlete today is performance anxiety. The pressure is everywhere, both on the field and beyond. And now, a Colorado-based startup is looking to bridge the gap between the hireable qualities of the student athlete and their fear of the unknown. InXAthlete is an online career platform that aims to connect the brightest minds from the world of sports with the movers and shakers of the business world. Former athletes are able to make a profile and market their skills in an athlete-centric environment, and employers can take advantage of a time- and resource-efficient tool to locate talent. “Companies like [InXAthlete] are paving the way to making connections between the marketable skills of athletes to significantly defuse this performance anxiety that athletes carry,” Spencer said. If you’re an employer looking for your next model employee, look no further than a former student athlete. And if you’re a student athlete, the road to success doesn’t have to end at the buzzer. The skills you developed as an athlete are invaluable, and your future employer knows it. A journalist for more than 20 years, Jennifer specializes in human interest/lifestyles writing. She thrives on traveling, Pinterest, concerts and chai tea lattes.